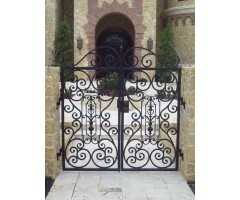 The only way to describe this double exterior gate art is "magnificent"! This is what adds instant value to your luxury home. The first impression your home makes is the one that matters most. .. 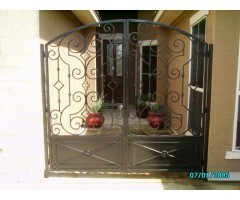 This grand gate was created to enclose the front entry door area with screened backing .. 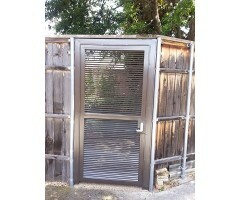 This gate was designed to the customer's specifications to fit in with their fence line. .. 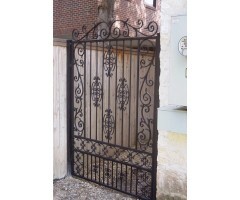 The scrolls on this garden gate are similar to that of a beautiful fern .. 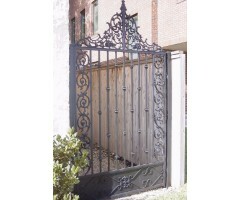 The centerpieces on this ornate double gate design is very noble and is the perfect entrance to the architecture of this luxury home. .. Solid panels at the lower sections of this beautifully designed tall double entry gate give a sense of retreat to this entrance courtyard. .. 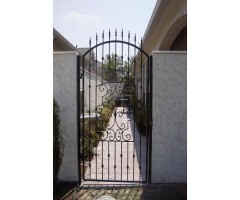 The wavy pickets on this entry gate offers a boundary but also a relaxed sense of welcome to this home. .. The tall spear-topped pickets with the beautiful center design surrounded by a solid private garden wall created a magical entrance to this courtyard. .. 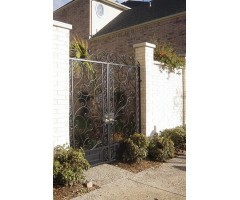 The elegant top and side borders with the lower decorative solid panels on this gate speak quality and elegance. .. 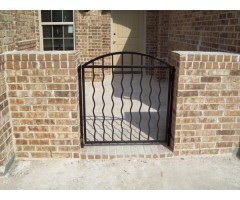 This oversize gate is not only beautiful, but offers security and function, giving allowance for yard equipment or sporting goods to enter. .. 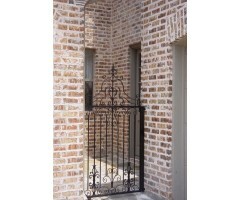 The height on this gate top is very elegant and softens the solid brick architecture surrounding it. .. 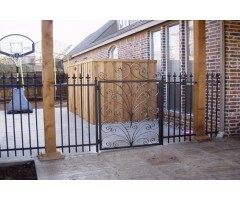 This trellis was designed with function and beauty. 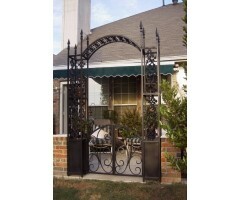 A solid base that could be used as a planter, and an elegant arched gate between the decorative columns topped with finial spears. ..